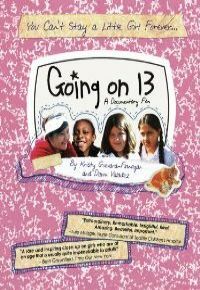 GOING ON 13 shows us a reality far more complex than what we are used to seeing in the media about pre-teen girls and urban girls of color. Without simplifying or sensationalizing their lives, we come to see these four girls as multi-faceted and gripping individuals. Using a mix of intimate interviews, cinema verite, and stop-motion animation, GOING ON 13 chronicles the girls' coming of age.